Your grandmother’s advice to “save for a rainy day” still holds true. Emergencies happen. Being prepared for them financially can make them less stressful and easier to weather. But can’t you just use a card to cover possible emergencies? Often, but not always. Keeping a cash reserve is the best thing you can do to cover an emergency and related expenses. Having cash on hand means you won’t have to pay high credit card interest on the expenses incurred. Cash is also good because credit cards can’t cover every possible emergency expense. Here are a couple of scenarios when you won’t be able to charge it. Oh no, you lost your job! Can plastic tide you over? If you’re laid off, you’ll have to pay your bills with existing funds until you find a new job or unemployment benefits kick in. Because you can’t be sure when this will happen, it’s a good idea to have a decent cash buffer. Credit cards can pay for many of your monthly expenses — like groceries, gas, and most utilities — but you may need cash for other expenses. For example, if you have existing credit card debt, you can’t use another credit card to make these payments. Typically, you also can’t pay student loans or car loans with credit cards. Services like Williampaid and ChargeSmart allow some expenses — like rent or a mortgage — to be paid with a credit card, but there are convenience fees tacked on. If you lose your job, a cash buffer can cover these expenses that can’t go on a credit card. Ideally, you’ll have a severance check, but it may be too small to cover your necessary expenses. A storm has knocked out power! How can you pay for necessities? When the power goes down, credit cards (and debit/ATM cards, for that matter) are rendered useless. If you live in an area vulnerable to natural disaster or frequent power outages, it’s smart to keep a small amount of cold hard cash in your home — not a doomsday amount, but a few hundred bucks at least. Some emergencies just can’t be handled with credit cards. By having a cash emergency fund, you’ll be prepared for whatever life throws at you. 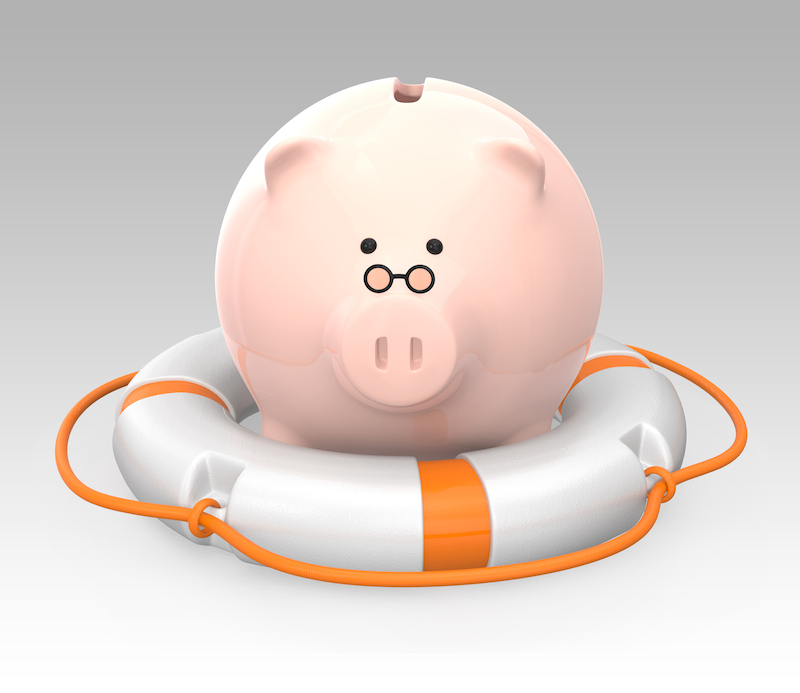 For more information on how much you should save in an emergency fund, check out this NerdWallet article. For help getting started with saving, check out this article on building a rainy-day fund.